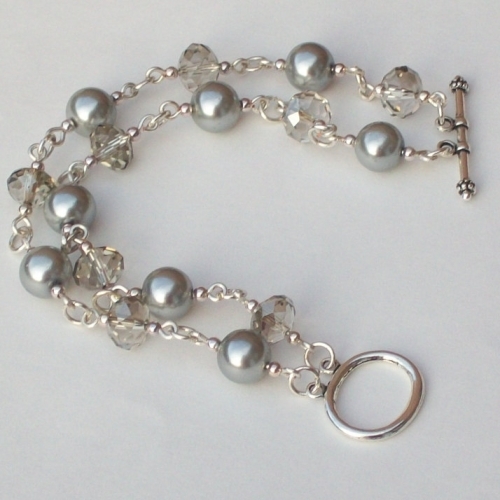 Bracelet handmade using two strands of large silver acrylic pearls and grey glass rondelles. All hand wrapped wire links. 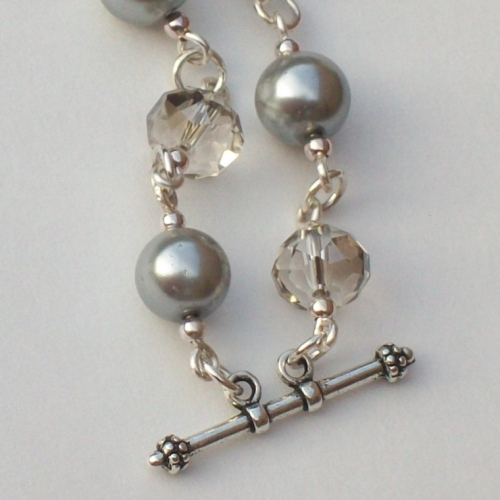 Finished with a toggle clasp. 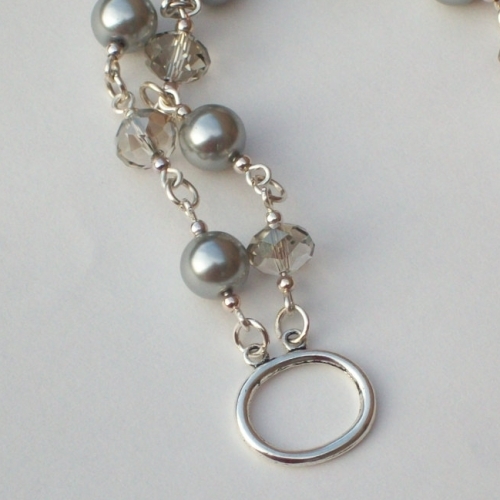 Wire and clasp are silver plated and nickel free. 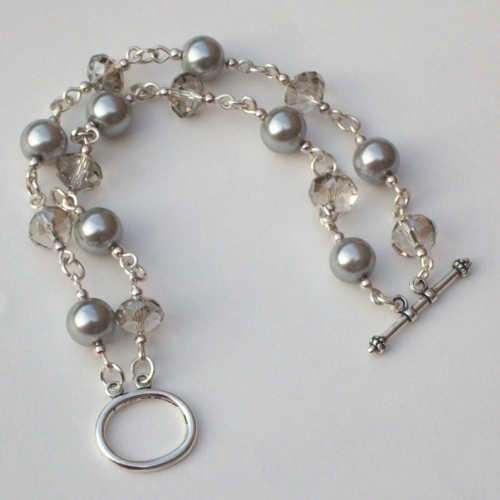 The bracelet is 8" in length including clasp.